When Olivia Rowlands was diagnosed with stage 3 bowel cancer in 2017, her colleagues at Ladybank Primary School, Fife decided to do something to help. It came as a huge shock to everyone, as she was only 29 years old and for months had been misdiagnosed with IBS and endometriosis. After seeing first hand how much pain she was in and how it was stopping her from doing the job she loved, all the staff knew they had to do something to support Olivia. 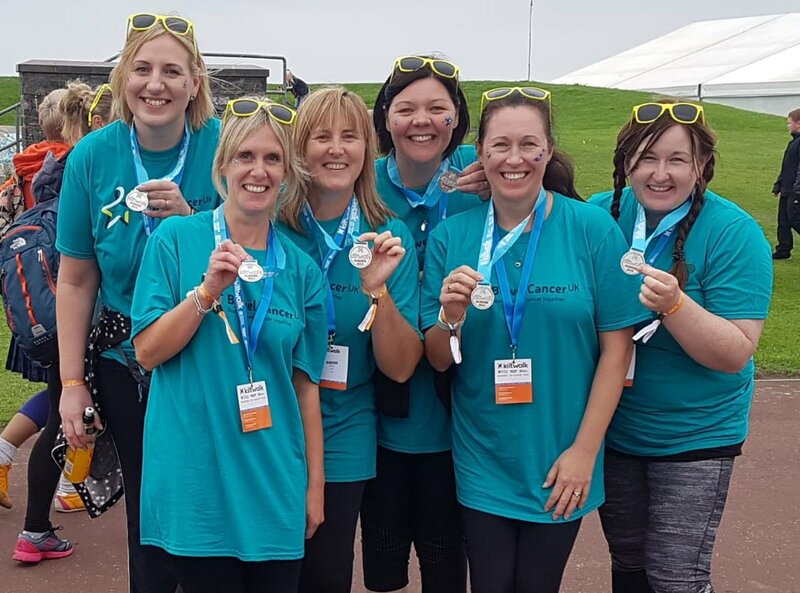 So in 2018 they formed Team Ladybank, strapped on their walking boots and tackled the Dundee Kiltwalk. The Kiltwalk is a charity walk that happens all over Scotland each year, with walks in Glasgow (April), Aberdeen (June), Dundee (August) and Edinburgh (September). Walkers can choose a charity that they want to fundraise for and the event itself will top up whatever they raise by 40%. 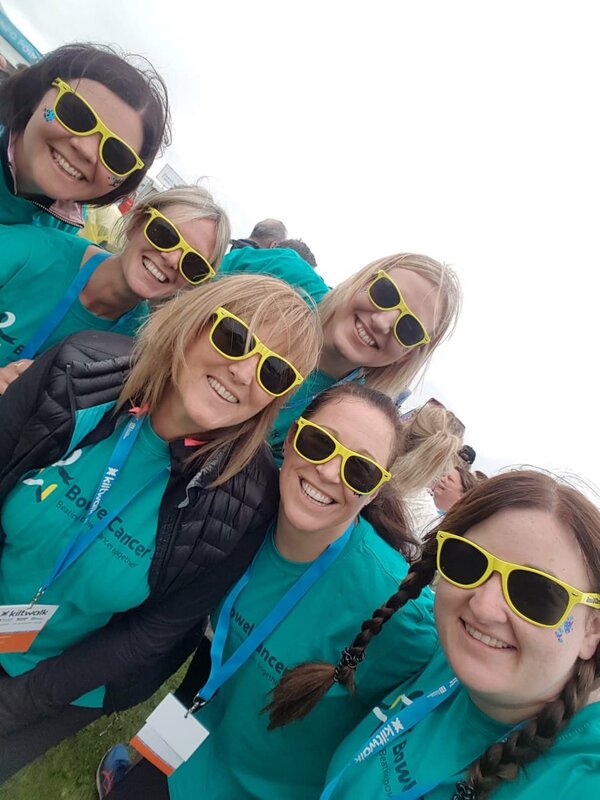 Team Ladybank took on the 13 mile walk across Dundee, St Andrews, Tayport and Monfieth for an incredible day in August 2018 and raised almost £1,100 for us! If you're inspired to take on the challenge this year, we've put together some handy tips below. Anyone can take part in the Kiltwalk, with 6 mile, 13 mile and 26 mile options to choose from. You can band together with your family and friends as not only will it make the walk even more enjoyable, but it will help you increase how much you raise. When setting up an online fundraising page tell people why you’re walking for us. Pages with stories and pictures, raise a lot more compared to those that don’t. Also think about fundraising during the walk itself for example, utilise the amazing scenery you’ll pass to post progress pictures to your social media (along with a link to your funding page of course!). During the event, make sure you pack plenty of water and refuel with snacks rich in carbs. Always put your health and safety first. We're thrilled to report that Olivia is now bowel cancer free and has become an ambassador for Bowel cancer UK.